It has taken me quite a while to write this review. Fahrenheit has just so many different levels of incredible it’s hard to put into words and properly express how amazing it is. Leigh Lennon has always been one of those authors that never fails to blow me away no matter what she’s writing and that really shines in this book. More than just being ridiculously hot (which is definitely is!) there is so much emotion and growth with these characters that makes this book really stand out. Particularly the dynamics between Levi and Jordan. 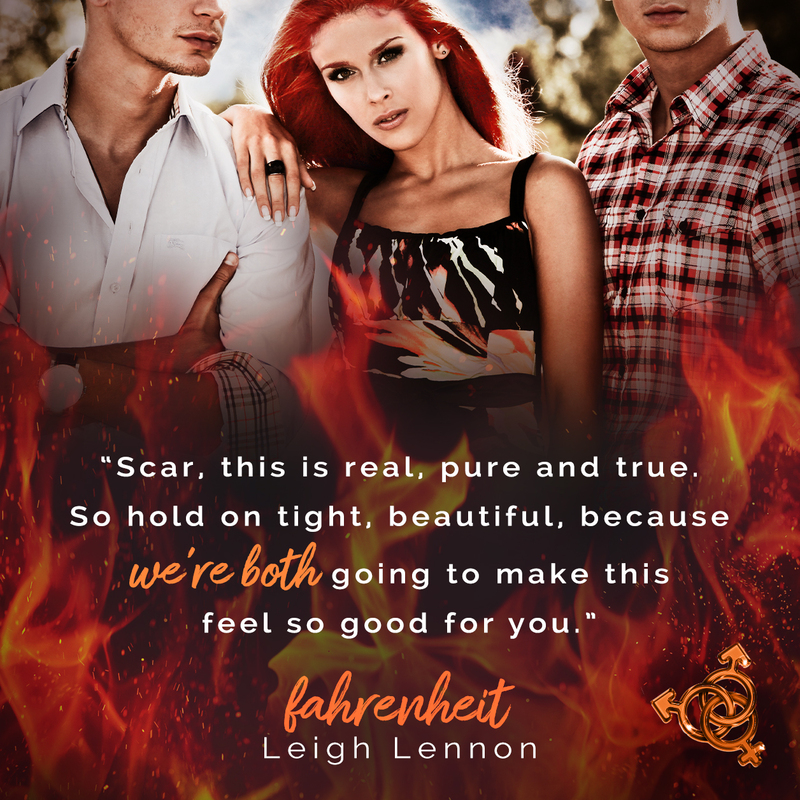 The chemistry between all three, Levi, Jordan and Scarlet is undoubtedly electric but what exists between Levi and Jordan is especially unique. Usually you pick up a book like this and everyone already knows what they want, but with Jordan he was just discovering where his heart lead. That with Leigh’s brilliant writing created a level of emotion that went so much deeper than I expected. These three have such beautiful story that is just bursting with love, heat, growth and self discovery it’s impossible to put it down! This is a story about three completely different people who find their one loves within each other. What makes this story so good is the dynamic between Levi and Jordan. Levi being comfortable with who he is has no problem laying it all out there. Jordan on the other hand is having some issues with the things he is feeling. Throw in a fiery red head and their perfect trifecta is complete. Scarlett is a strong heroine that makes no qualms about the fact of who she is and who she loves. The struggle that Jordan has compelled me. I felt for him and mistreated to hug him to let him know everything would be all right. Levi with has laid back attitude and comfortable in his skin stole my heart. He knew what and who he wanted. However his impatience with things almost cost him everything. The reason for the four stars is I felt like it was a slow build up. Do I feel it took away from the story no I do not. 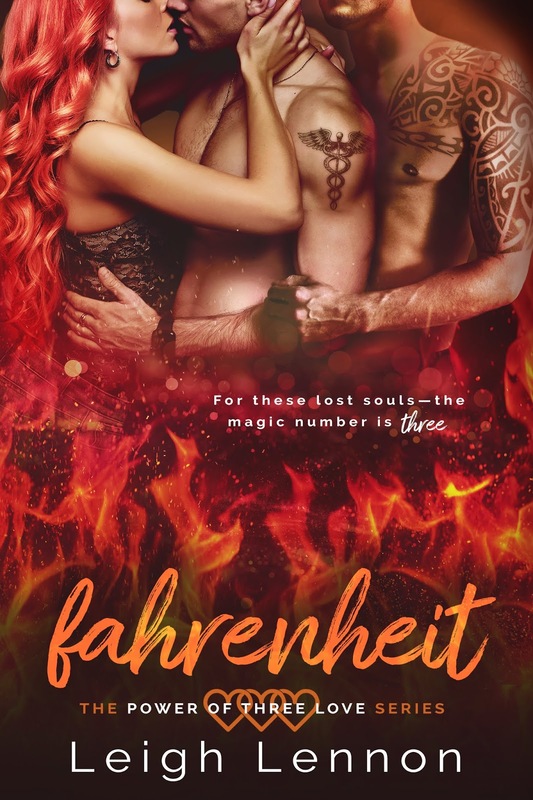 This book was as Hot as the cover looks!! !